Fins dry peel and mo peel, of elephant fish from South America. 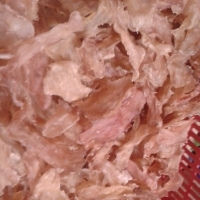 we offer to sell dried shark fin, more details about the products, please feel free to contact us. Short on time? Let shark-fins sellers contact you. Elephant fish, fish maw ling, shark fins. We are suppliers of shark fins . Processed and unprocessed shark fins from the pacific ocean. We export all parts of the shark's. Shark's from the pacific ocean. we sell them in different prices according to their sizes. 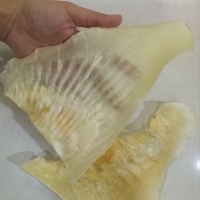 We provide processed dried shark fins of different sharks of different size . Shark fin Product comes in three categories: A = $200 per kg B = $170 per kg C = $150 per kg these include freight They are packed into 50 kg per box. We are leading import and export dried seafoods company in yemen. We are dedicated to the sale of products as: **shark fins, sea cucumbers**, and others All sea cucumbers catched from socatra island(yemen). All Size The best maw ling, we are producers. Sharks FIn Non Process Fins = Size 16" - USD$254 per kg Non Process Fins = Size 18" - USD$317 per kg Process Fins = Size 16" - USD$495 per kg Process Fins = Size 18" - USD$571 per kg All prices are ex-works price from Indonesia or Singapore. Freight not included.